Check out the individual bios on our instructors below and sign up for an introductory session today. Head Coach Rutkowski comes to us with a rather extensive list of accomplishments as both fencer and coach. We are excited that he will be using his experience to complement our already very talented group of volunteer coaches. He has earned medals in many events Nationally and Internationally to include a gold medal in the Polish Junior Championships, and an opportunity to fence with the National Junior Team. 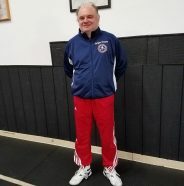 Coach Rutkowski began coaching in Poland in 1990, during this time he was able to train with students from many countries to include the USA, Canada, Scandinavia and the Ukraine. After graduating with his Masters in Sociology he completed the “International Fencing Course” under renowned Polish coach Prof. Zbigniew Czajkowski as well as several US coaches. 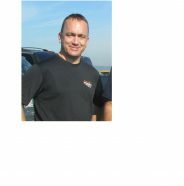 Witold came to the U.S. via Texas in the early 2000’s and has coached in various clubs throughout the US. 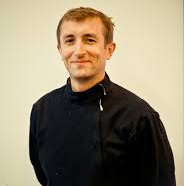 Witold has a boundless passion for fencing and for teaching others the art, science and joy of fencing. Alex started fencing at age 10 in USSR (that was a long time ago, now it’s called Russia). By 12 he became an active competitive fencer and represented his club and city all over USSR. He stopped at 14 to concentrate on school but kept active, doing other sports throughout school and then university. Alex picked up fencing again in 2009 at age 34 and became competitive at local and national level tournaments. He currently holds an A16 rating. Peter Hargis got his start fencing at the age of 12 when a fencing club conveniently opened up next to his sister’s violin lessons. What began as an attempt to get some much-needed exercise quickly became a passion for competition and an aptitude for helping new students. He fenced competitively all through high school in all three weapons, but he found most of his success with the epee. While attending George Washington University, Peter dabbled in other martial arts while he played for the school’s fencing team. Peter’s dedication, experience, and willingness to educate students new to the sport earned him the title of Vice President of the team in his Junior and Senior years. There, Peter also functioned as chief epee coach, where he led the team to numerous victories in university competitions. Since graduating from college in 2007, Peter has remained a recreational fencer with occasional forays back into competition, earning an “A” rating in epee. Peter has been fencing for most of his life, and along the way it has given him regular exercise, focus, and more friends than he can count. He hopes to convey his passion for the sport to a new generation at Fairfax Fencers. Coach Rob Tifft is a retired Marine who has been a fencer as well as an instructor for many years. He started fencing in high school and represented the Capitol Division at the National Junior Olympic Championships in both foil and epee for four consecutive years. At the same time he established and coached the Walt Whitman High School Fencing Club. After graduation, he attended Penn State University where he fenced with the Penn State fencing team. From there, he began a career as a U.S. Marine Corps helicopter pilot where he qualified as a senior instructor pilot responsible for teaching basic flight procedures all the way through advanced tactical operations. He also designed and taught individual classes and training programs on a variety of topics ranging from military history through operational planning. Rob has been fencing at Fairfax Fencers since 2012, teaching both foil and epee. He brings his enthusiasm, love of the sport, and disciplined instruction to Fairfax Fencers. Mark first found his way to fencing through the martial arts. Like many on this path, Mark explored various schools and styles until discovering VeeJitsu which he studied under Founder and Grand Master Florendo Visitacion (Professor Vee). Apart from the grace, power and practicality of VeeJitsu, Mark was fascinated by the inclusion of Philippine Stick Fighting. He also had a chance to study another form of Philippine Stick Fighting (Modern Arnis) under Grand Master Remy A. Presas. Both of these arts were heavily influenced by sword fighting and fencing traditions and techniques brought over by the Spaniards. So when Mark first walked on a piste, in Fairfax Fencers, some six years back it felt like a homecoming and he has never looked back! 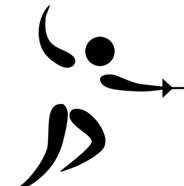 Having benefited from dedicated, generous, gifted instructors Mark is committed to giving back and takes great joy in introducing others, of all levels and ages, to the art of fencing. Coach Rinaldo Campana’s entry into the sport of fencing was humble. At the age of 14 he learned how to fence while working at a garage in New York City as a gas jockey during dead time. A German mechanic, who worked there, taught Rinaldo how to fence with two of his Italian foils and masks. He perfected his skill at the local YMCA , and then at Frederick Rhodes Academy of Fencing in New York City. A few years after college Rinaldo went on to pursue his pastime passionately under Dr. Eugene Hamori, a former Hungarian Olympic saber champion, at New Orleans Fencing Club where Rinaldo competed in foil and epee tournaments until he was 33. After a twenty-five year hiatus to raise his family and serving two tours of duty at the U.S. Embassy in Paris, France and Caracas, Venezuela Rinaldo decided to join a local fencing club in the Washington, D.C. area to see how well he could compete again. 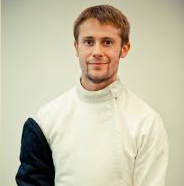 After a few years he qualified through the US Fencing Association, North American Cup events, to be a member of the U.S. World Veterans Fencing Championships in foil and epee: 2006 Bath, Great Britain, 2007 Sydney, Australia, 2008 Limoges, France, and 2012 Krems, Austria. He also served as the Head of the US Veterans Delegation in 2008 Limoges, France, 2009 Moscow, Russia, 2010 Porec, Croatia, and 2012 Krems, Austria. 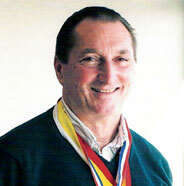 In addition to being an active competitor in the U.S Veteran Fencing community, Rinaldo, as Chairman of the US Veteran Fencing Committee, was instrumental in the adoption of the Veteran 70 category as part of the USFA. 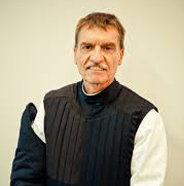 He has also enjoyed encouraging and coaching young and old new fencers and has worked with other coaches to provide wheelchair and individual special needs instruction available at Fairfax Fencers.